Hello! 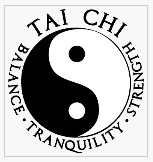 I have been running a Tai Chi class in the Victory Hall, Thorner for several years now. This is a lovely welcoming class with many of the students making friends within the group. We are re-starting after the Summer on Thursday 13th of September 2018, running every Thursday from 10.30am until 11.30 am. The class is £5.00 pay as you come.